Japan invented high-speed rail (HSR) in 1964 with the Shinkansen bullet train – and now The Land of the Rising Sun is leading the way towards the next generation of fast trains with the first public test of its new magnetic levitation train! Whereas traditional HSR trains run on conventional tracks, limiting top speeds to around 200 mph, the new maglev train can hit 311 mph using “L-Zero” technology – and it can zip passengers from Tokyo to Nagoya in 40 minutes flat. The system is expected to be operational by 2027. Central Japan Railway Company conducted a public demonstration of the new “L-Zero” technology, which brings the train up to a speed of around 100 mph (160km/h) before engaging the maglev system and slowly accelerating to the top speed of 311 mph (500 km/h). 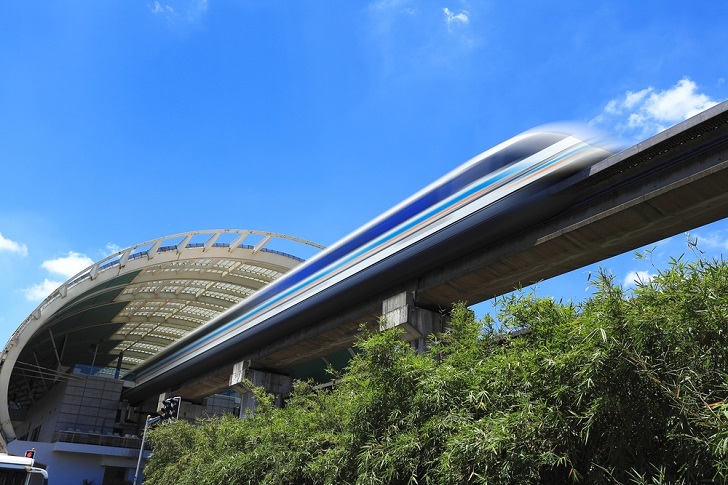 The maglev technology uses a series of magnets rather than wheels to levitate and accelerate trains, allowing for a faster and smoother ride. Public test rides will begin this November. When the 178 mile (286 kilometer) route officially opens, there will be six stations — Tokyo’s Shinagawa, Sagamihara in Kanagawa Prefecture, Kofu in Yamanashi Prefecture, Iida in Nagano Prefecture, Nakatsugawa in Gifu Prefecture and Nagoya. Japan is betting big on maglev technology. The country wants to successfully demonstrate that maglev can work as they want to export the technology. Recently, the Japanese government offered a $5 billion down payment to build a maglev train that would take passengers from Washington to Baltimore in 15 minutes, with plans to eventually extend to New York City. 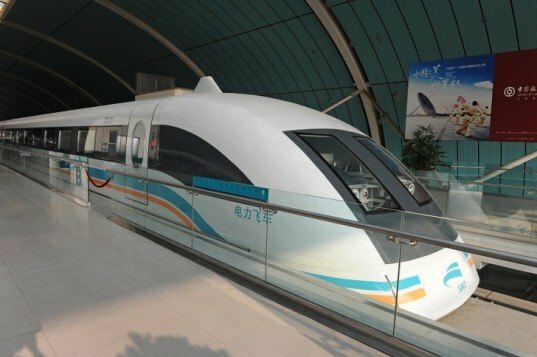 The only maglev train currently in operation is in China. The Shanghai Maglev Train travels 19 miles (30.5 km) from the airport to the city in seven or eight minutes at a top speed of 268 mph (431 km/h). The pictures are of the China Shanghai Maglev Train that is based on the German Transrapid system. @Paul Mannarino: Current travel time from Tokyo to Nagoya with the Nozomi Shinkansen is 1 hour 42 minutes including two stops at Shinagawa Station and Shinyokohama Station. Not boarding a Shinkansen but using local trains will raise the travel time to more than 6 hours. Question, why are you posting a bunch of pictures of the Chinese magnetic levitation train? I don't think the Japanese one is too hard to find. Fantastic yes, but "Mag Lev" has been around for many, many years, but yet again it takes our Japanese Friends to turn it in to an effective high speed mode of transport. Japan is leading the way towards the next generation of fast trains with the first public test of its new 311 mph (500 km/h) magnetic levitation (maglev) train that will zip passengers from Tokyo to Nagoya in 40 minutes. The maglev system is expected to be operational by 2027. The only currently operational maglev line is in China from the Shanghai airport to the city.